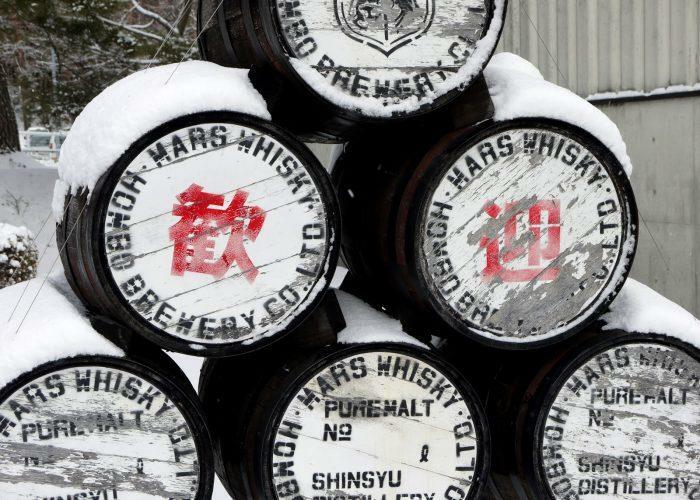 Sandwiched between Japan's soaring Southern Alps and the towering Central Alps, at just over 2,600 feet, Mars Shinshu is Japan's highest whisky distillery. The Hombo family have been distilling shochu for more than a century and added whisky to their repertoire in 1949. Back then, the distillery was located in Kagoshima Prefecture on the southernmost island of Kyushu. In 1984, the Hombo clan moved the distillery to the idyllic alpine setting of Miyada village in southern Nagano Prefecture. They chose this site for its cool temperature, which slowed maturation, and the plentiful, soft, granite-filtered snowmelt-fed aquifers. Details The first bottling in Mars's new Nature of Shinshu range – each entry is named after the flora local to the eponymous distillery. Rindo means 'gentian' and has a distinctly aromatic character thanks to ageing exclusively in a combination of ex-bourbon, sherry and Japanese wine casks.